Lynn Rescigno is a Yoga teacher, a classical Pilates teacher at Pittsburgh Ballet Theatre (PBT) School, and a modern dancer. Lynn practices Ashtanga yoga, Iyengar yoga and is a Jivamukti yoga teacher, who has worked under the guidance of Sharon Gannon and David Life since 1999. She has studied the works of the Krishnamacharya Lineage with Sri K. Pattabhi Jois, TKV Desikachar, Tim Miller, David Swenson, Richard Freeman and many senior teachers under BKS Iyengar. A graduate of Point Park College, Lynn was a professional modern dancer with many companies in both NYC and Pittsburgh. She enjoys teaching yoga to people of all walks of life. 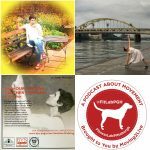 Lynn also teaches a 200-Hour Classical Yoga Teacher Training at BYS Yoga in Pittsburgh; the next training class will begin in September 2018.
check out the FitLabPGH Podcast episode featuring Matt Grau, Head Coach of Junior Rowing at Three Rivers Rowing Association (released 2/25/18). 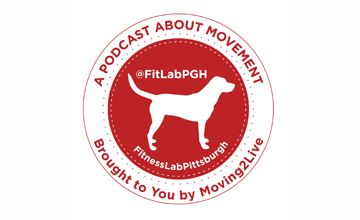 check out the FitLabPGH Podcast episodes featuring Don Drolet (released 5/14/17 and 10/29/17).